A web scale company needed a solution for their environment that would securely access and control networking, servers, and power devices. They needed LLDP to detect network devices, configuration finger print check for security purposes, advanced command line interface (CLI), a performance heavy CPU, the latest security features and puppet/chef automation integration and SNMP support. 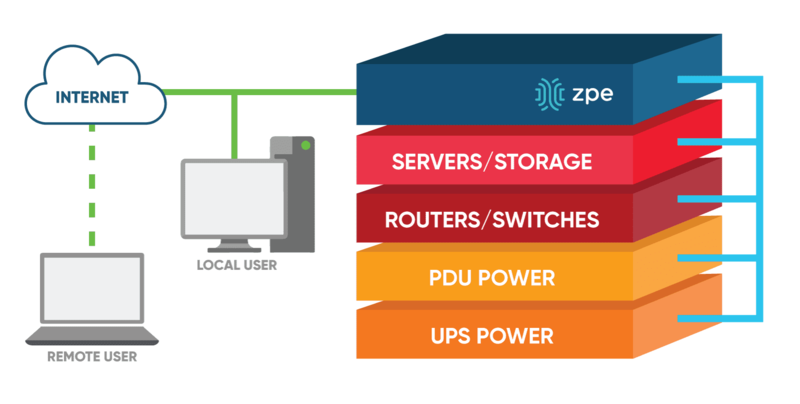 ZPE Systems’ NodeGrid Serial Console™ allows secure remote access to the network gears’ console ports with lightning response time for provisioning and firmware upgrades. NodeGrid’s LLDP announces its presence on the network for immediate automation control. ZPE’s NodeGrid software enforces security with System Configuration Checksum™ a patent finger print methodology for pointing out unauthorized configuration changes in NodeGrid Serial Console. Integration with Docker and Puppet or Chef provide extra layer of management flexibility and integration. NodeGrid Serial Console allows the customer to manage all devices, regardless of vendor for unparalleled security, access, and control. NodeGrid Serial Console is robust, extensible and programmable. NodeGrid Serial Console (NSC) helps data center managers improve productivity and reduce MTTR costs with the latest technologies. The world’s fastest serial console server also sports industry-exclusive system configuration checksum™ for security, bare metal booting and recovery capabilities, and Docker readiness. No competing product comes close.